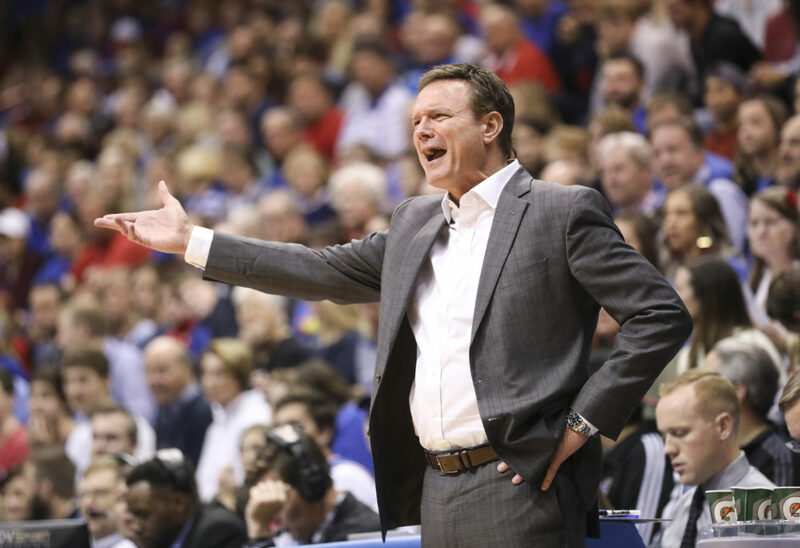 Kansas head coach Bill Self questions a play from his players during the second half of an exhibition, Thursday, Nov. 1, 2018 at Allen Fieldhouse. 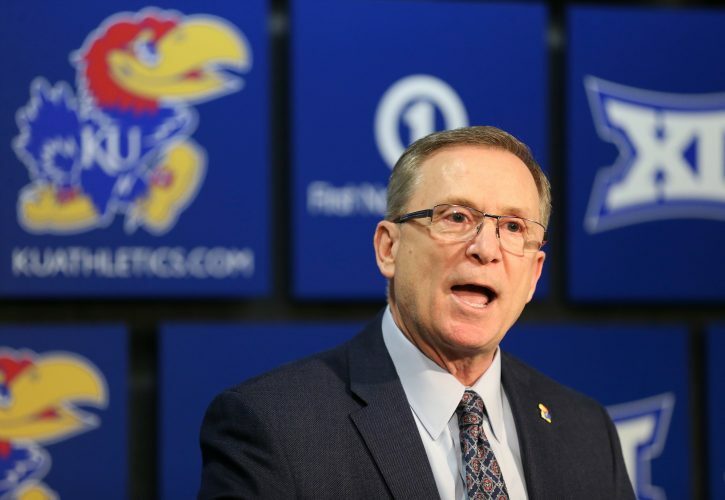 Since University of Kansas Athletic Director Jeff Long announced his decision to move on from David Beaty as KU’s football coach, basketball coach Bill Self has not spoken with the soon-departing football coach in person. During his Friday press conference inside Allen Fieldhouse, Self was asked about any conversations he may have had with Beaty. “Well, we haven’t talked. We’ve texted back and forth several times,” Self said. 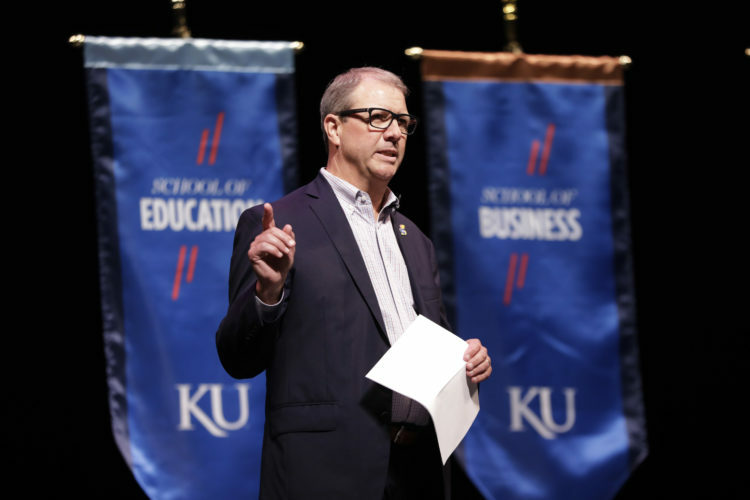 According to Self, Beaty, in his fourth and final year at KU, is excited for Saturday’s game at Kansas State. “I’m hoping that the players rally around the situation and perform at a level that gives us certainly a great opportunity to win an in-state rivalry game this weekend,” Self said. 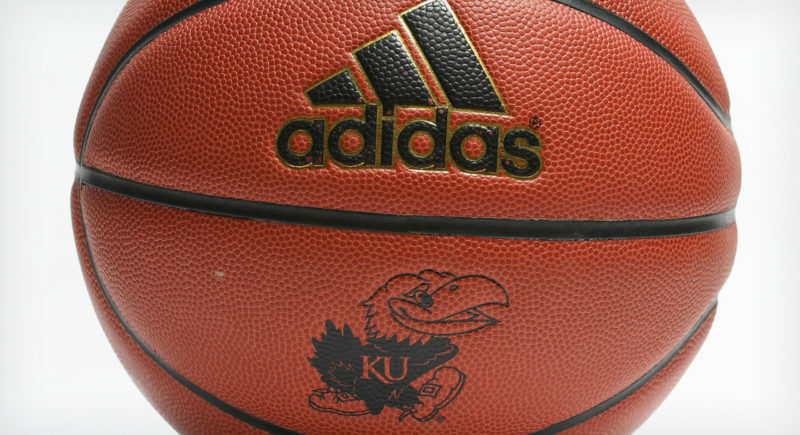 The 16th-year Kansas basketball coach went on to compliment Beaty for how he handled the news that Long won’t retain him. 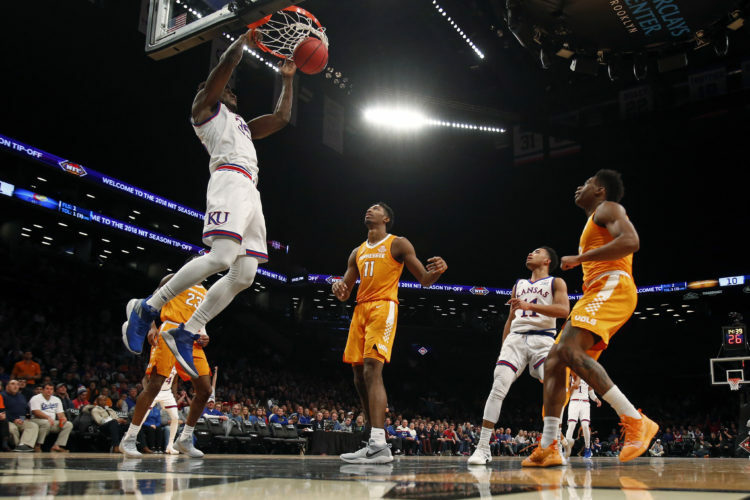 Given his connections within the college athletics universe, Self also was asked whether any potential football coaches have reached out to him about the opening at Kansas.